Carlos Ghosn will learn his fate Friday when the maximum detention period for questioning over financial misconduct allegations expires but the former Nissan chairman is unlikely to be released soon. Prosecutors are expected to press formal charges against the 64-year-old auto industry tycoon over allegations of under-declaring his income and aggravated breach of trust, meaning Ghosn will likely stay in pre-trial detention. Ghosn, who is reportedly suffering from a fever at his Tokyo detention centre, denies any wrongdoing, arguing in a dramatic court appearance on Tuesday that he is being “wrongly accused and unfairly detained”. One of the most recognisable foreign executives in Japan, Ghosn was led into Tokyo District Court in handcuffs and with a rope around his waist and was noticeably thinner after more than 50 days of prison food. He spoke in a strong voice and passionately declared a “genuine love and appreciation for Nissan”, saying he had acted “honourably, legally and with the knowledge and approval of the appropriate executives inside the company”. At the end of the nearly two-hour hearing, his lawyers applied for him to be freed but the court slapped this down, arguing he was a flight risk and could tamper with evidence if released. 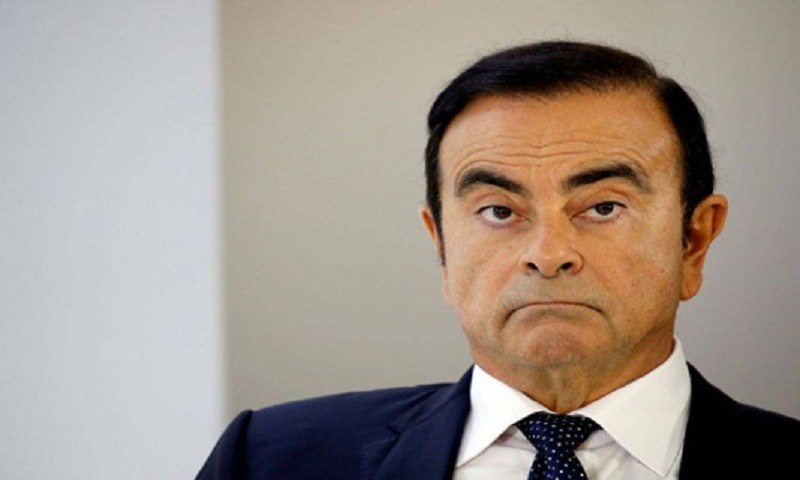 Ghosn has already been indicted once, over allegations he under-reported his salary over five fiscal years to the tune of five billion yen ($46 million) in official documents to shareholders.